If you 21 years of age or older, you can legally possess THC (aka cannibas or marijuana) as defined by the Colorado Constitution. Yes, you can smoke it or enjoy many types of edible products and topicals during your visit. No, you don’t need to be a Colorado resident to possess cannabis. Yet the story doesn’t end there. CAMPING Before assuming anything, contact the campground’s office to learn of their policy. Some are very strict, while others treat it similar to smoking cigarettes or drinking alcohol. If consumption is your desire, ask of their policy before you book your campsite (remember, some campgrounds impose a cancellation fee). KEEP IT IN COLORADO If you’re buying to use in states where it’s illegal, well, using it or even possessing it is still illegal in those states. If you’re planning to mail some home to yourself or a buddy, don’t. The Drug Enforcement Administration and the US Postal Service inspectors are keenly watching for such activity from within Colorado. Bottom line: Use it or leave it in Colorado. 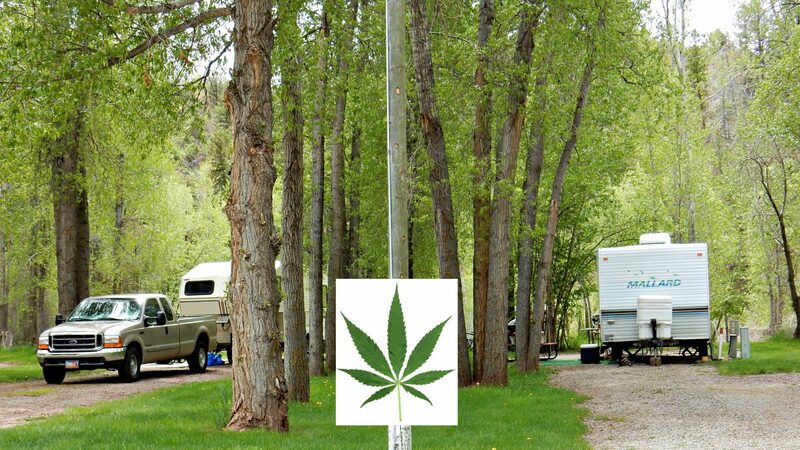 FEDERAL LAND Your right to possess marijuana ends at the property line of federal land, including national parks, forests, monuments, and even courthouses. Possession of marijuana on federal land is punishable by jail time and financial fine even on the first offense (second offenses are more stringent). DRIVING UNDER THE INFLUENCE The Colorado Department of Transportation provides this insight regarding driving while impaired. Bottom line: don’t drive while under the influence of anything, including marijuana. Camp Colorado wishes you and your camping neighbors exceptional Colorado getaway memories. his publication is supported by funding from the Colorado Tourism Office, a state agency. Turn to Colorado.com for a comprehensive list of festivals, events, historic areas, itineraries, and community insight.